Whether it was an accident or not, this is a good reminder not to use social media sites as backups for files. Today, it’s Myspace, but tomorrow it could be Facebook, Twitter, or any of the other social media sites The Top 20 Social Media Apps and Sites in 2019 The Top 20 Social Media Apps and Sites in 2019 Are you addicted to social media and networking? Here's our list of the top social media apps and sites in 2019. Read More you’re trusting with your files. 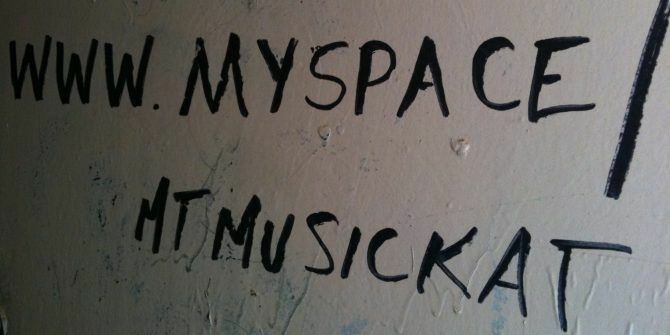 Explore more about: Data Backup, MySpace. MAAC is one of the top institutes providing VFX, multimedia,3d animation courses in vasai . With the best animation institute in Vasai you can take your career to new heights.